Feminist Fatale » I mean, really? 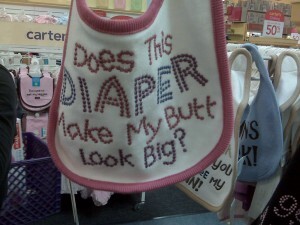 I went to Babies “R” Us today to register and came across this horrible bib for girls. 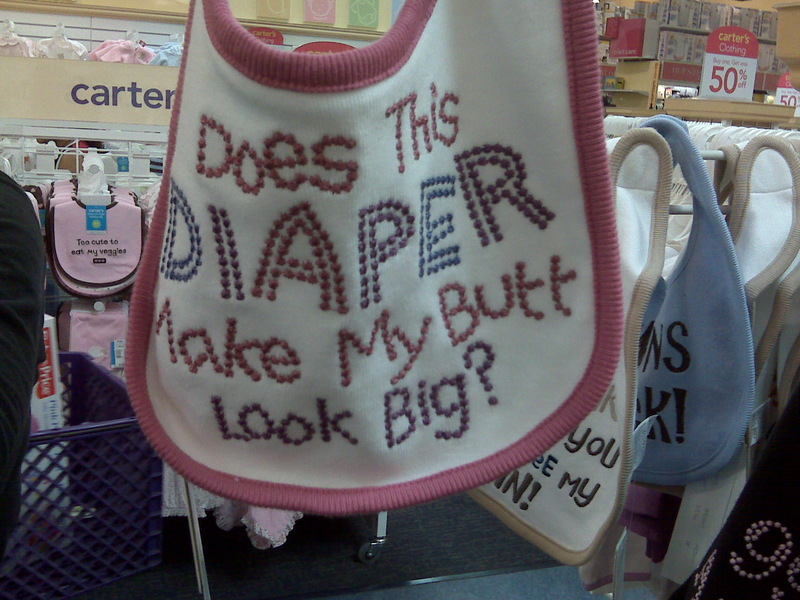 I don’t think I need to comment further. Horrifying. i added your blog to my stumbleupon account.also i emailed this post of yours to a couple of friends of mine.